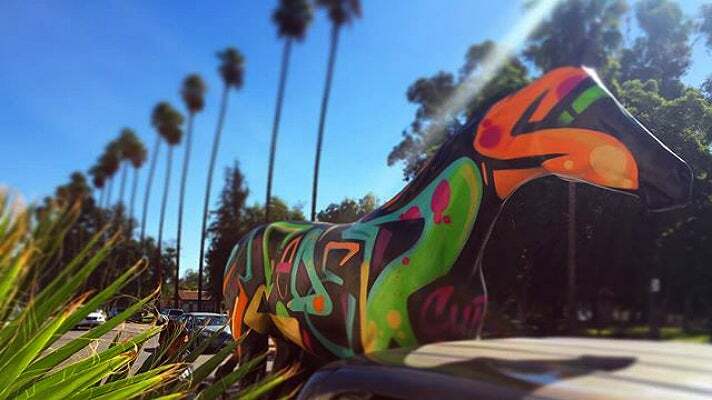 The Breeders’ Cup, in partnership with the Los Angeles Tourism & Convention Board, has launched The Best is Yet to Come Horse Art Exhibition, a pop-up community art program created in collaboration with Crewest Studio and five notable Los Angeles artists. 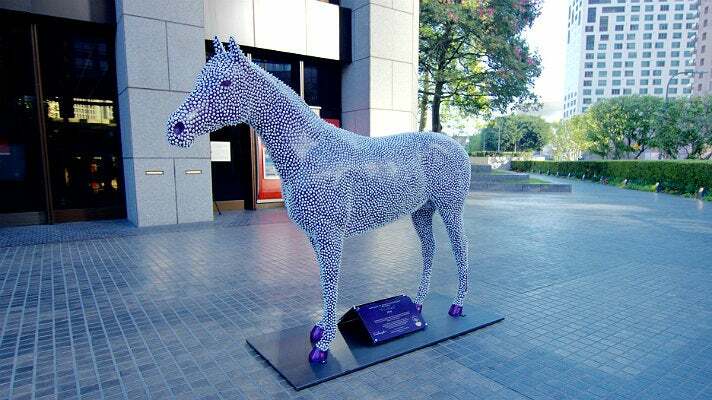 As part of this new exhibit, each artist has painted a life-size, six-foot tall horse statue reflecting their style and the community in which the artworks will be placed. “Snap” a photo with one of the horses to discoverLAsnaps on Snapchat for a chance to win a pair of tickets to the Breeders' Cup. 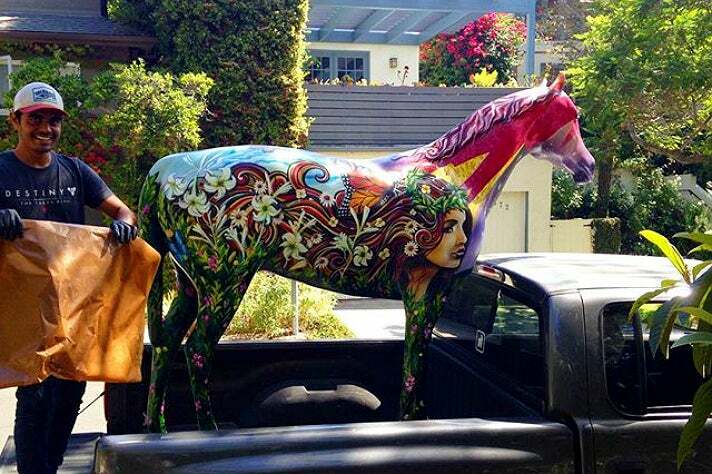 Beginning Thursday, Oct. 6, Angelenos can see the “art horses” at various L.A. locations through the end of October, when they will be transferred to Santa Anita Park to be displayed at the 33rd running of the Breeders’ Cup World Championships, Nov. 4-5, 2016. 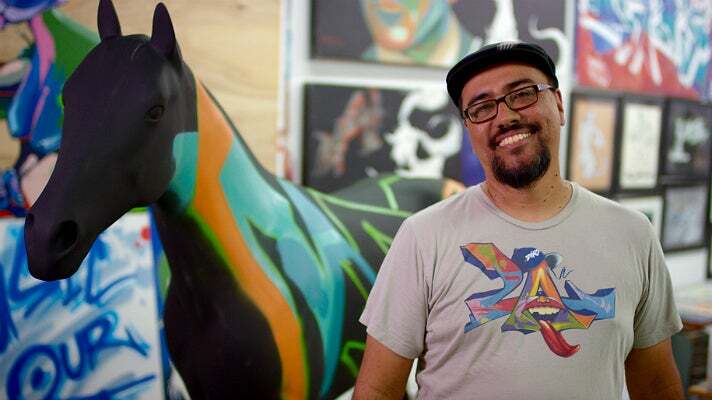 Man One - "Pony Up"
Man One, a long-time artist and founder of L.A.'s iconic Crewest Gallery, will debut his graphic, colorful piece, Pony Up in Pershing Square. The artist notes, "In graffiti culture, getting UP is all about your art being seen all over the city." Growing up in Los Angeles, Man One first developed his skills as a graffiti artist on the streets of L.A. He honed his talents as a fine artist and understanding of art history at Loyola Marymount University, where he earned his Bachelor's Degree. 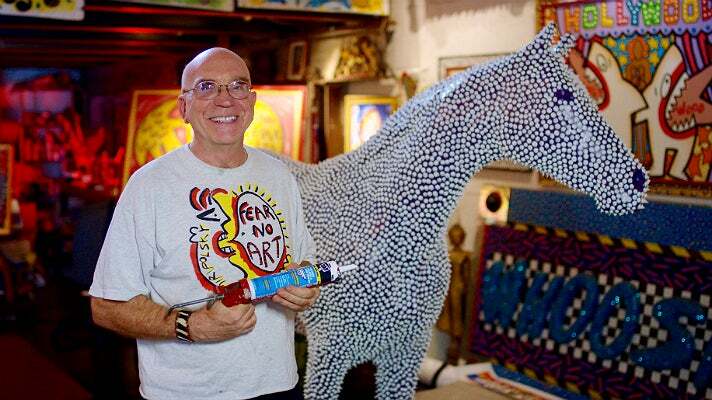 He’s been invited to paint and speak on art and activism all over the world, and his trademark brushstrokes can be found in books and museums as well as commercial work for MTV, Coca Cola and Disney. 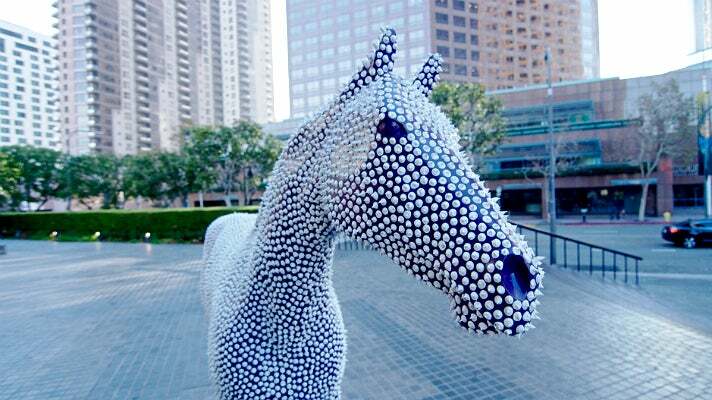 Standing tall with a glowing purple body and 3-D cake frosting-esque spines, Andre Miripolsky’s Prickles horse can be found at Bank of America Plaza in Downtown Los Angeles. Miripolsky was born in Paris, France, to a father who was Cultural Advisor for the American Foreign Service and also an artist. The family lived in a series of global landscapes, including Iran, Thailand, Austria, France, Indonesia and Korea. After graduating high school in Seoul, Korea, he headed to the California Institute of the Arts. Miripolsky’s keen understanding of pop imagery and dynamic personal energy launched a career that resulted in work with Elton John, Bette Midler, Quincy Jones, The Rolling Stones, Beastie Boys, Cheap Trick, and MTV. Miripolsky serves on the boards of the L.A. Art Alliance, the Downtown Artwalk, and the Hollywood Arts Council. Yolanda González - "Beauty at the Races"
Beauty at the Races - artist Yolanda González’s painterly portraits, with the horse as canvas - is installed at Westfield Fashion Square in Sherman Oaks. González was born into a family whose artistic heritage dates back to 1877. She travels extensively for inspiration to influence her work. González studied at the Pasadena Art Center College of Design after winning a painting competition that awarded her a scholarship to the prestigious school. Subsequently, her years-long involvement in the non-profit art center, Self-Help Graphics, led to exhibits in Spain and Scotland as a representative of the L.A. community. In 1998, she was an artist in residence in Ginza, Japan followed by a similar stint in Assisi, Italy. Gonzalez’s work has been seen in the Hammer Museum, The Geffen Contemporary at MOCA, the Japanese American National Museum and the Diego Rivera Museum in México City. Through the years, González has shared her skills by teaching with Inner City Arts, Para Los Ninos, Plaza de La Raza, and the Crenshaw Christian Center. 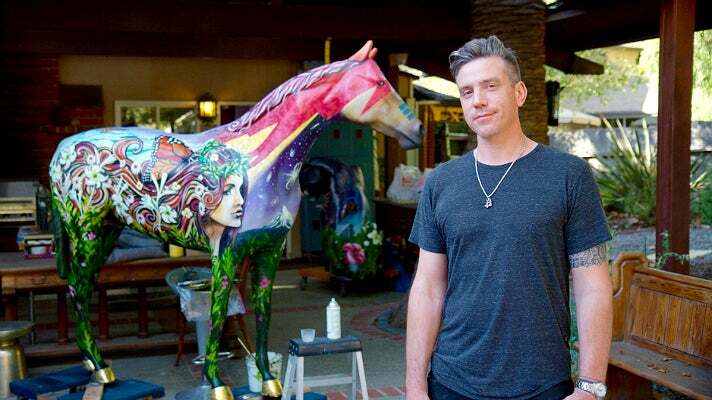 Clinton Bopp’s multi-layered, fantastical Stardust horse - done in acrylic, spray paint, and oils - is on view at Westfield Santa Anita. Bopp says, "The inspiration for Stardust is the connection between plants, animals and humans. Especially with the horse being an ally for humans throughout the centuries and through different cultures." The New Zealand-born painter, muralist, stone/wood carver, sculptor, designer, set designer, restorer and teacher works in themes that meld social and mystic revelations. Michael Massenburg - "Racing With Time"
Michael Massenburg, whose previous public art collaborations include projects with ESPN, the American Jazz Museum and Metro, among many others, debuts his modern realist horse, Racing With Time, at the Equestrian Center in Griffith Park. 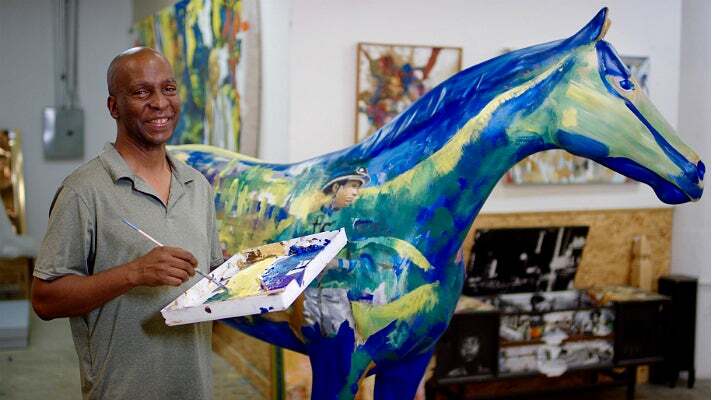 Born in San Diego and raised in Los Angeles, Massenburg has exhibited in galleries and museums, completed private commissions, and worked on public art projects throughout the country and abroad. He is the recipient of various grants, working with the Los Angeles Department of Cultural Affairs and the California Arts Council. Along with his art making practices, Michael is a teaching artist for various organizations and is founding board member board president for the Inglewood Cultural Arts nonprofit. Exemplified by the five artists chosen for this unique project, “Los Angeles is home to an incredibly rich and thriving artist community,” says Craig Fravel, CEO of Breeders’ Cup. 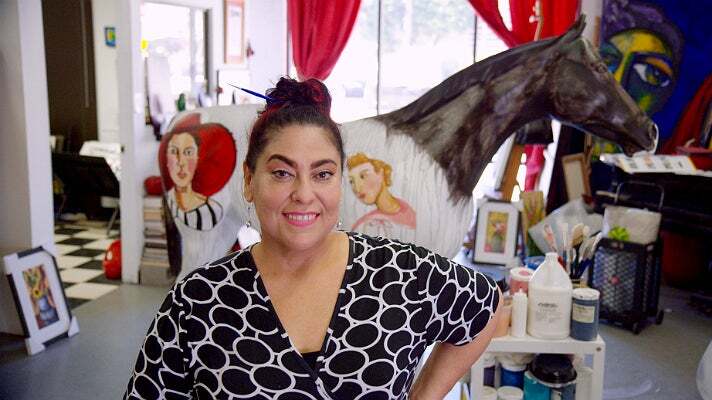 “We are always looking for interesting ways to engage the community, and this pop-up art exhibit embodies the heart and soul of the city.” The colorful horses will be sold at a charity auction that will take place on Thursday, Nov. 2. 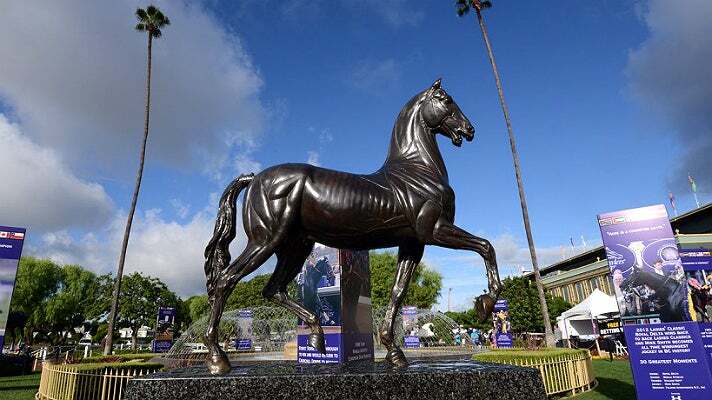 The 2016 Breeders’ Cup World Championships, consisting of 13 (grade I) races and with purses and awards totalling $28 million, will be held Nov. 4-5 at Santa Anita Park in Arcadia and will be televised live by the NBC Sports Group. What began as a one day, seven-race event has grown into a two-day, $28 million extravaganza attracting the best horses, trainers, and owners from across the globe. It has also become the unofficial end and culmination of the thoroughbred-racing season, often with the Breeders’ Cup Classic being the deciding factor in Horse of the Year. And while these two days have seen legends born, history made, and fortunes won, the greatest part is that the best is still yet to come.